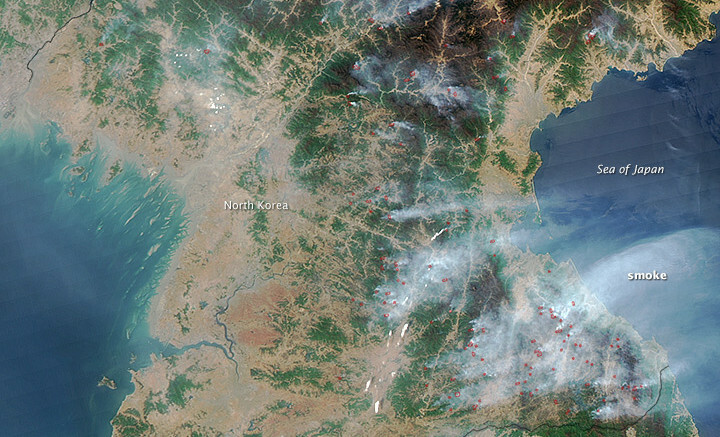 Fires burning across North Korea are shown in this image from NASA's Aqua satellite captured on April 25, 2014. NASA’s Aqua satellite has captured a stunning image showing a number of large fires burning across North Korea earlier this week. 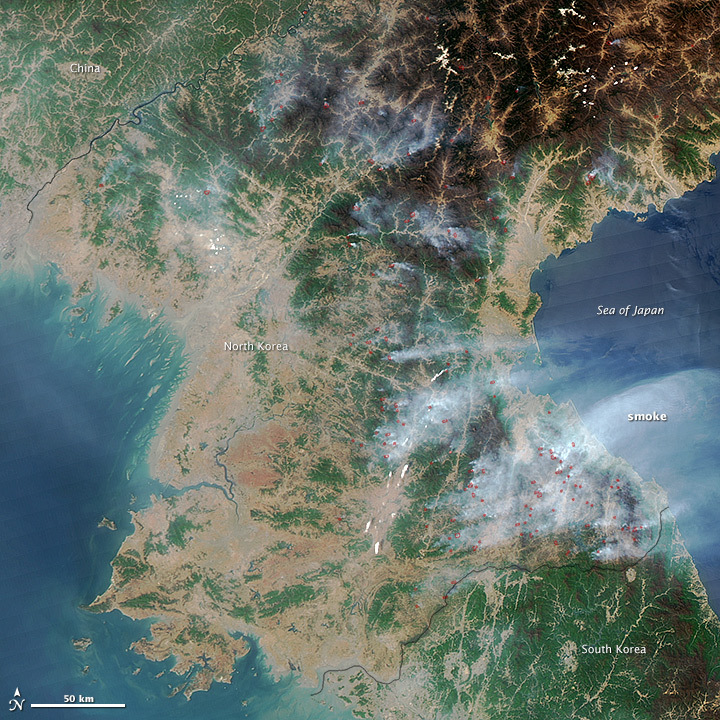 The image, taken by the Moderate Resolution Imaging Spectroradiometer (MODIS) on the Aqua satellite, clearly shows large plumes of smoke from the fires, which are concentrated across the east and central parts of the DPRK. Also visible are the fires themselves, which are highlighted in red after being detected with the satellite’s thermal imager. They are probably related to farming and involve either the burning off of old crops or clearance of land for new planting. It’s about this time that the year’s crop planting program begins to get underway. NASA noted that some of the fires could be due to drooping power lines touching trees and causing forest fires. 2 Comments on "NASA captures fires burning across North Korea"
No biggy, those are just the funeral pyres from his latest purge.